Hello everyone, sorry for the late post. 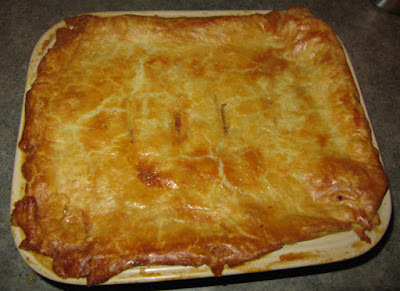 I'd like to share what I did with all my turkey leftovers, I made pot pie! There is nothing like Thanksgiving leftovers and I had more than enough turkey left over to make a pot pie. I actually made two over the course of the weekend. As we were pretty sick of turkey by this point, I really tried to get as many strong and different flavors into the second pie as possible. To begin, I roasted (again) the left over turkey wings and a leg to get a nice color on them. 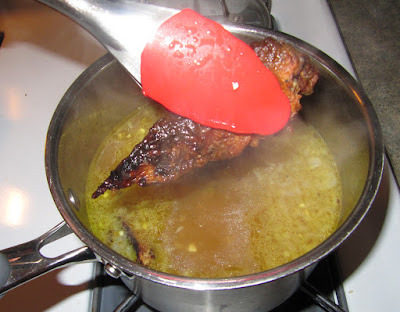 I then placed the roasted wings/leg into a pot with chicken broth, onion, garlic, and a Serrano chile. I let this boil away for about an hour, trying to impart as much of the turkey into the broth. 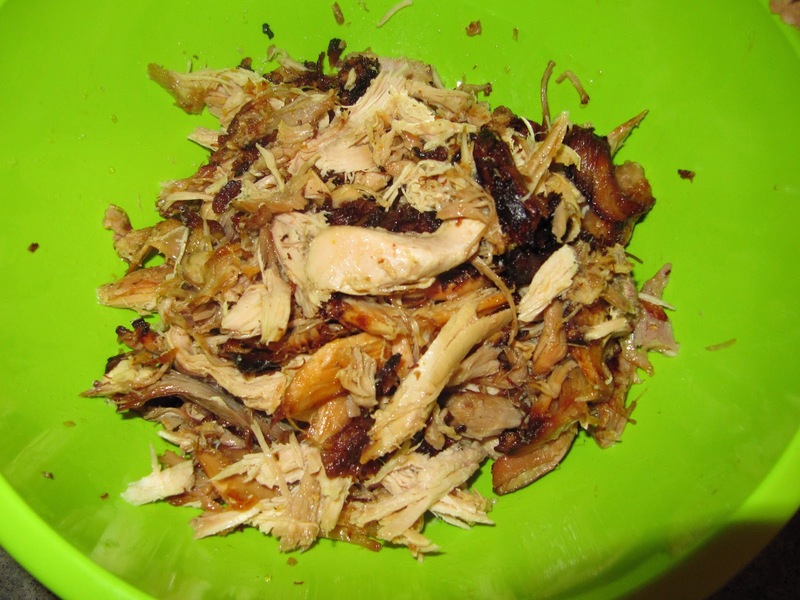 While this boiled I took a few cups of chopped up turkey meat, mixed in a bit of turkey fat and roasted in the oven on high in order to get the meat crispy and caramelized. I combined these crispy bits with the rest of the meat, almost as if it were bacon. I used a bag of frozen peas and carrots and tossed together with the turkey meat. I removed the wings and leg from the broth in order to begin making gravy from the broth. I melted butter in a pan and added a bit of flour to create a roux and cooked for a minute or so. I then added the roux to the broth and simmered until thickened. I added cumin to the gravy which went well with the heat from the serrano chile. I poured the gravy over the turkey/veggie mixture and set aside. To create the crust for my pot pie I eyeballed about 3 parts flour to 2 parts fat. While pie dough is better served by using specific measurements, I sort of approached it by feel, having had plenty of practice making pot pie just two days earlier. I let the dough rest in the fridge for about an hour, and then proceeded to roll it out. 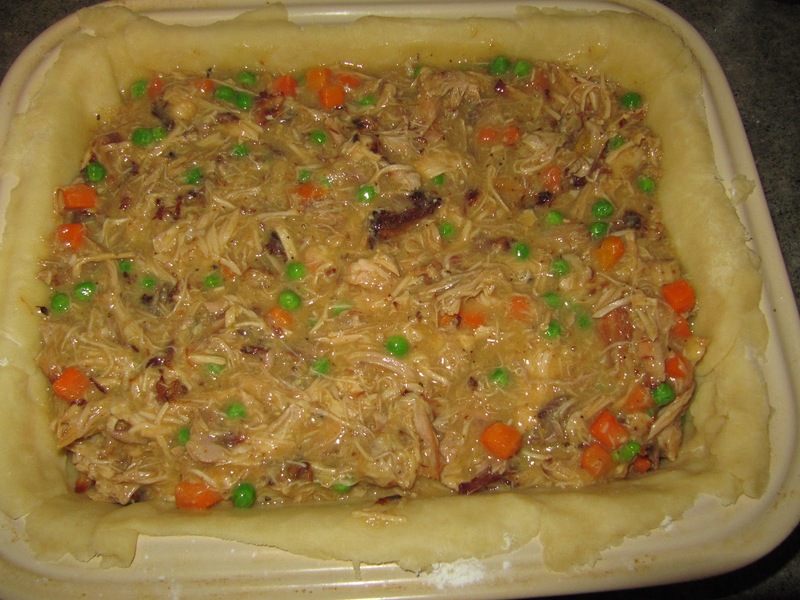 I pressed the bottom crust into the casserole dish, making sure to go up the sides. 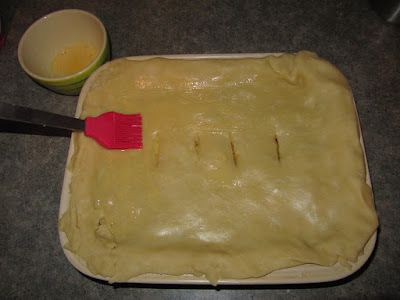 I then spooned in my filling and covered with the top crust, making sure to form a seal with the bottom portion. I created an egg wash by beating one egg with a splash of cold water. 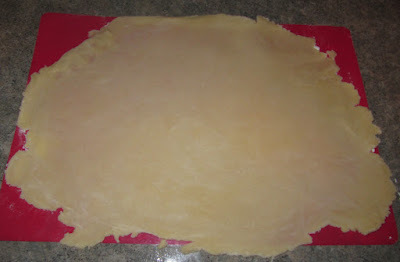 I brushed the egg wash on the top crust, this helps to get a crispy golden brown crust on top. I baked in the oven at 425 at first for 15 minutes, and then reduced to 350 for an hour. The pie came out of the oven with a golden brown crust and piping hot filling. I cut large pieces out of the casserole and served. The crust was flaky and went perfectly with the rich filling. 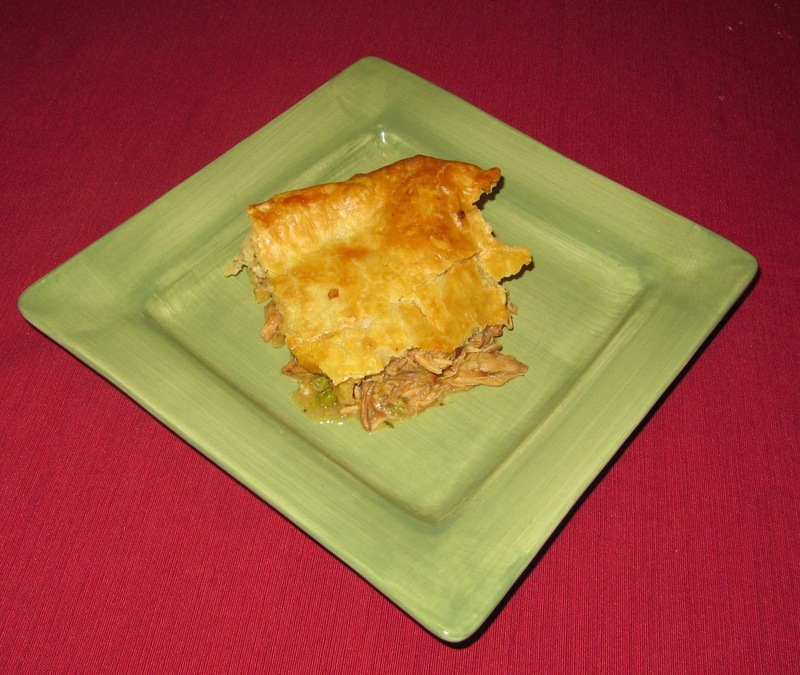 The pie was delicious; it contained tons of flavor: the crispy turkey bits with their concentrated flavor added texture and the spice of the gravy kept the dish interested. I must admit, we were pretty sick of turkey by this point, but this version had us wanting to come back for seconds.